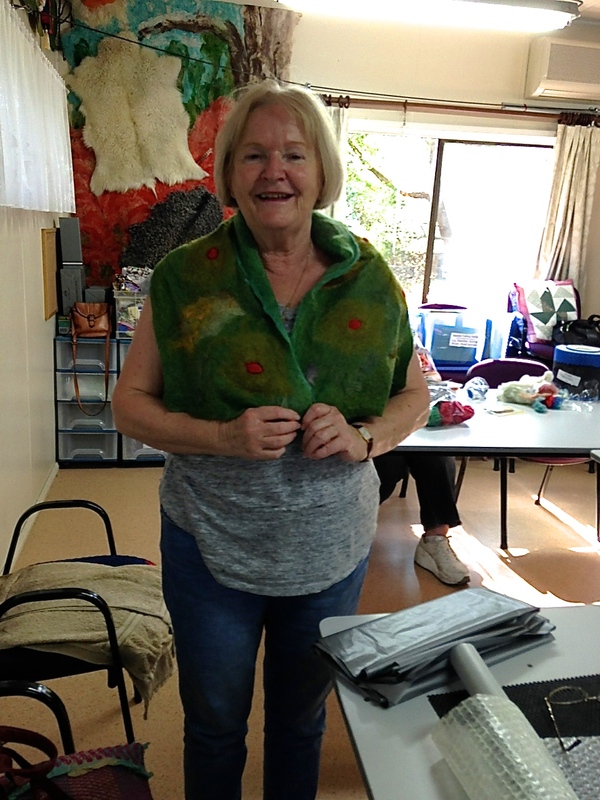 Here is Sandra with her lovely “Poppy Field” wrap. Sandra has been enjoying her Felting and has made some lovely items. By Lyn A.